Keep your Samsung Galaxy S9's screen in pristine condition with this Olixar Tempered Glass curved screen protector, designed for full coverage of your phone's screen. This design leaves enough space for a case too. This screen protector is easy to put on your phone. It's sticky but is simple to place. I do think it affects sensitivity to touch but not enough to bother me. It does feel nice to the touch and for some reason it doesn't seem to attract dirt like the actual screen does. Weird! This is perfect - it's nice and clear and gives no problems with the touch screen, and it went on very easily. 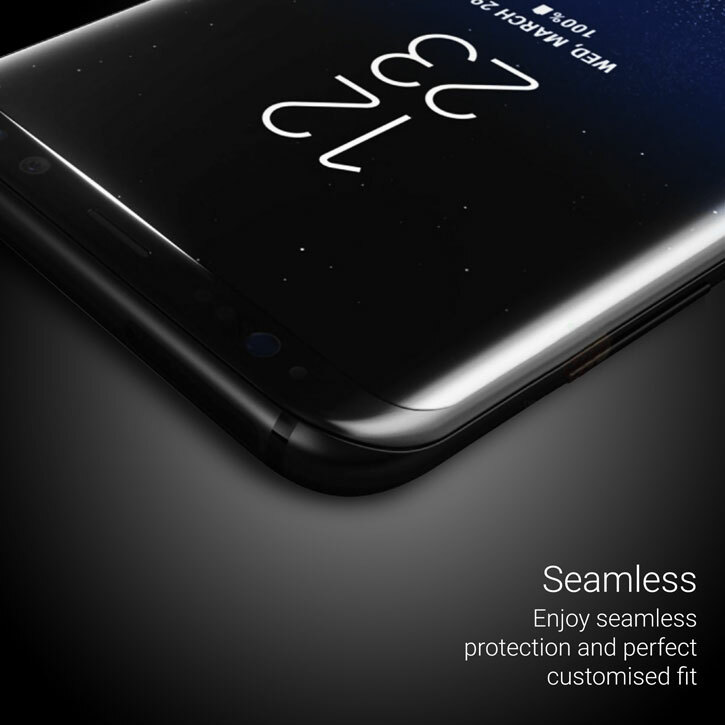 The best screen protector that I have ever had and I have had lots. Fits on the screen using gravity and absolutely no air bubbles. 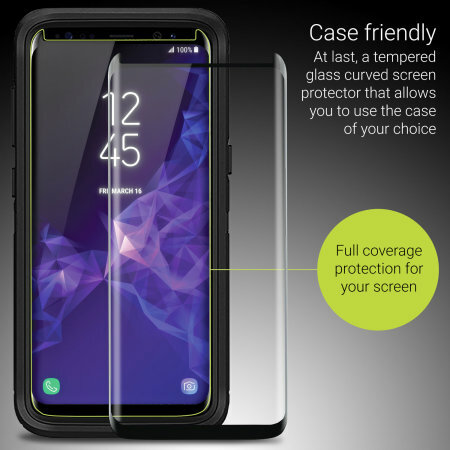 This ingenious solution to protecting your S9's screen involves a tempered glass protector that covers most of the the edges of the curved screen, allowing you to use most cases on the market with it too. The underside of the screen protector sits flat on the screen and follows the contours of your phone's screen perfectly. This covers the entire screen and offers complete protection. No more compromising by leaving the curved edges exposed and this also ensures no dirt will get in - so no more "halo effect". By allowing you to use a case, you can have the complete protective solution for your phone. 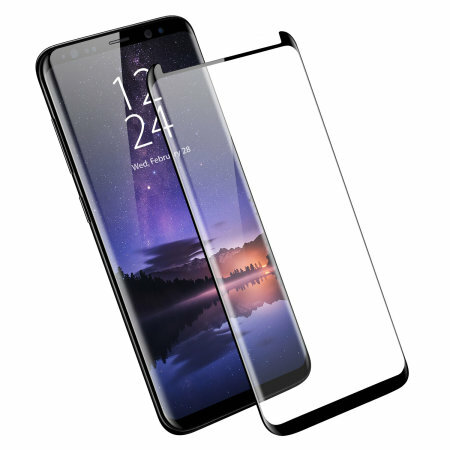 The Olixar range of screen protectors are designed to keep your Galaxy S9's screen clear from scratches and scrapes that could hamper your visibility. By creating a tough barrier between your screen and the world, any damage will be done to the screen protector and not the phone, keeping your device looking good as new. 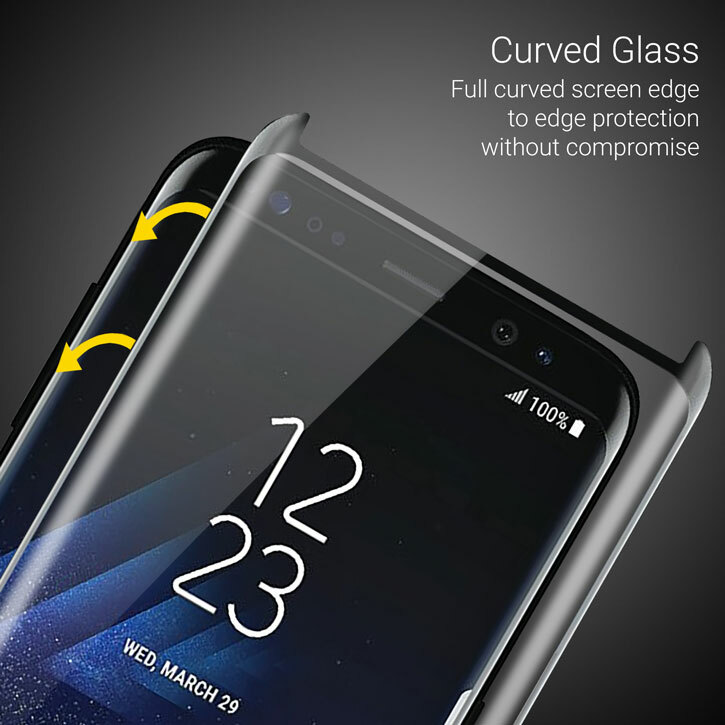 The Samsung Galaxy S9 features a unique curved edge screen, perfect for viewing notifications on either side of the phone. 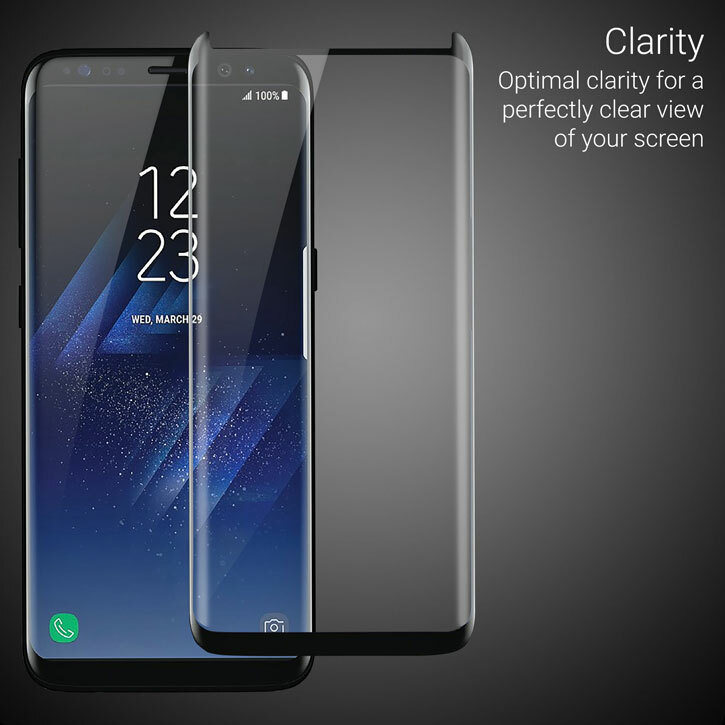 The Olixar Tempered Glass Curved Screen Protector is designed to cover even these areas of the screen, so you can rest assured your Galaxy S9 has 100% display coverage providing all round protection.